With the help of our state-of-the-art infrastructure unit, we are able to manufacture and supply the superlative quality of Stretch Film that is used for storage or transportation to quickly identify product loads. The offered wrap film is manufactured using supreme quality raw material and cutting edge technology by our adroit professionals in sync with set industry norms. 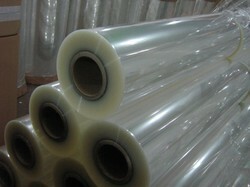 Moreover, provided wrap film is rigorously tested by our quality controllers so as to ensure its quality. BOPP or Biaxially Oriented Polypropylene tapes find wide application in packaging of products. These tapes can be printed with single or multiple colours as per our clients’ requirements. As per the diverse requirements of our clients, the tapes can be customized with the logo or a specified design promoting the brand name in the market. 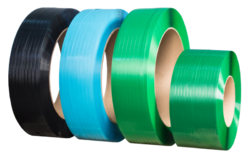 These are bi-axially oriented polypropylene film coating tapes with excellent peel strength. Our heat sealable vacuum metallised films are used to provide excellent moisture & oxygen barrier to multi-layer laminate. These inner sealant films enhance product shelf-life by providing good heat seal strength on packaging machines. A metallised side is used for lamination to other film & unmetallised side is for sealing packets of cream biscuits, chocolates, toffees, finger chips, cheese balls, moisture sensitive food products etc. We manufacture corrugated rolls & wrapping liners using automatic corrugated making machine. Flexible & shock absorbing properties ensures protection and safety from scratches, chips or breaks during transportation. 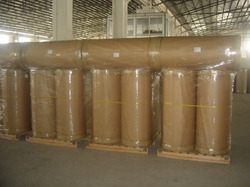 These rolls ensure safe delivery and protect and cushion any product efficiently. Polyolefin shrink is an extremely durable and versatile 'premium' shrink film. It has taken the place of PVC mentioned above in many applications, and is also an FDA-approved food-safe material. Polyolefin materials are available with different characteristics, including cross-linked film that provides high-tensile strength and incredible clarity for high-speed packaging applications. Cross-linked film also prevents buildup on sealing components of machinery. With added strength, the ability to create longer rolls of film with thinner gauges available that allow for less roll change-over and increased efficiency and productivity. Polyolefin shrink film has excellent puncture-resistance and seal-strength, allowing for irregular-shaped items to have excellent protection throughout its supply chain life-cycle. POF is available in thicknesses as low as 35-gauge (.35 mil), and is more commonly available in 45,60, 75 and 100 (1 mil) gauges. The versatility and fairly low-cost that POF offers for multiple machines and packaging forms makes it a go-to form of protective packaging manufacturers of any size. In some instances POF will need perforations added to the film; tiny holes added to the film before application which allow air to escape during the shrinking process for a smooth package. 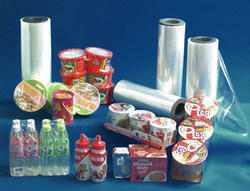 Pre-perforated shrink film is available by many suppliers for this reason. Europe, Asia; similar to 40" × 48". Military 1/2 ISO container, fits 36" standard doors. 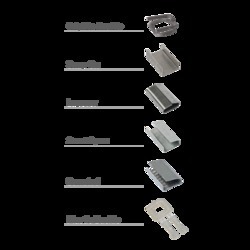 Composite Strap (Cordstrap’s polyester composite strapping) solutions provide a high quality, strong solution to securing products of all shapes and sizes, however heavy, fragile or expensive they may be. 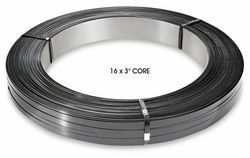 Cordstrap’s experts can demonstrate how best to apply our strapping solutions to your specific applications in the most time and cost-effective manner. Shrink Films usage in meeting the demands of packaging bulk goods in an industrial setup. 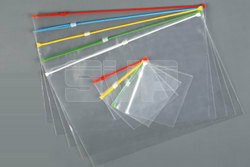 We offer these films in different sizes and specifications as requested by the customers. Coming in quality finish, these films provide economical temper evident packaging support to the manufactured goods. 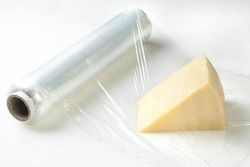 PVC/PE cling film has become a major contributor to food safety. Protecting food and dairy products in particular from the micro-organisms. That breed quickly when food is left uncovered. 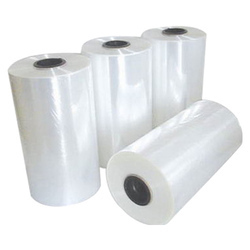 It has become one of the most widely used materials for wrapping foods in supermarkets, for food storage in catering establishments and for protecting food at home. POLYESTER STRAP is split free, rust free, unaffected by sunlight exposure a highly resistance to chemicals and a very effective alternate of Steel Strap. 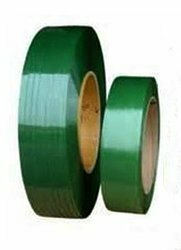 Polyester (PET) Strapping is broadly used in industries, such as steel, chemical, fabric, can, brick and others. 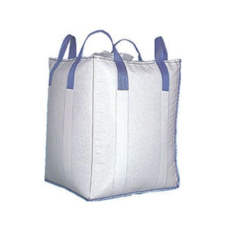 It offers safe, reliable and economical packaging solution. Also, we try to maintain reasonable prices and best possible standards of our PET range. It is designed to be versatile, easy to use and practical in nature, so that clients can meet their objectives in a perfect manner. We are offering a wide range of High Tensile Steel Strapping. This High Tensile Steel Strapping is obtained using the superlative quality of raw material and most advanced equipments in compliance with the industrial quality standards. To meet the specific needs of our prominent clients, we offer our products range as per their specific demands. 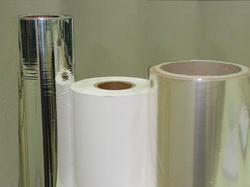 We provide the finest grade of Aluminium Foil. Used in packaging applications, the offered pouches are known for their resistance to moisture and shrinkage. In addition to this, the offered aluminum foil is available with us in various sizes and designs. 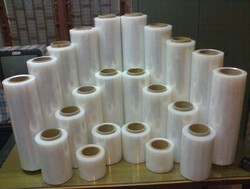 Cast Polypropylene (CPP) film is polypropylene based plastic film that is produced using a casting process. This product is widely used in the flexible packaging industry as a sealing layer in food packaging, especially for solid food products. The main characteristics of CPP film are a high gloss finish, high clarity, increased rigidity and high moisture barrier.